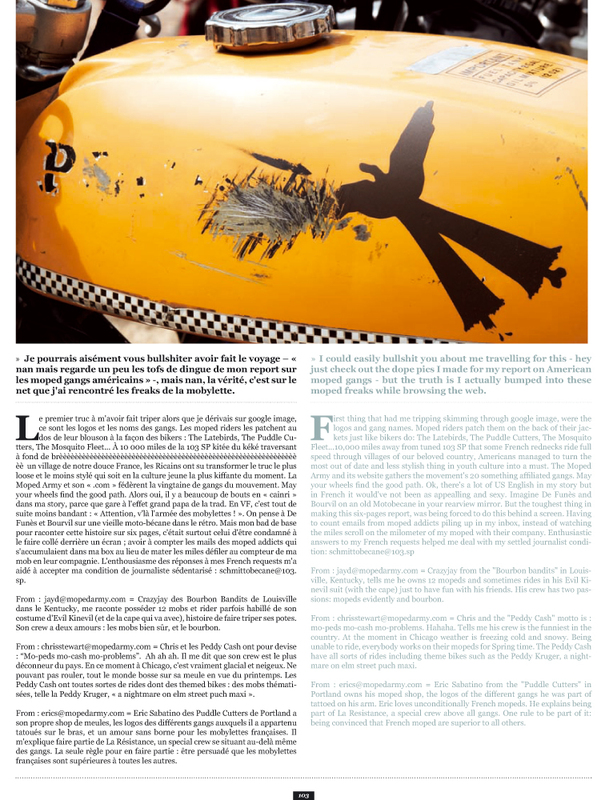 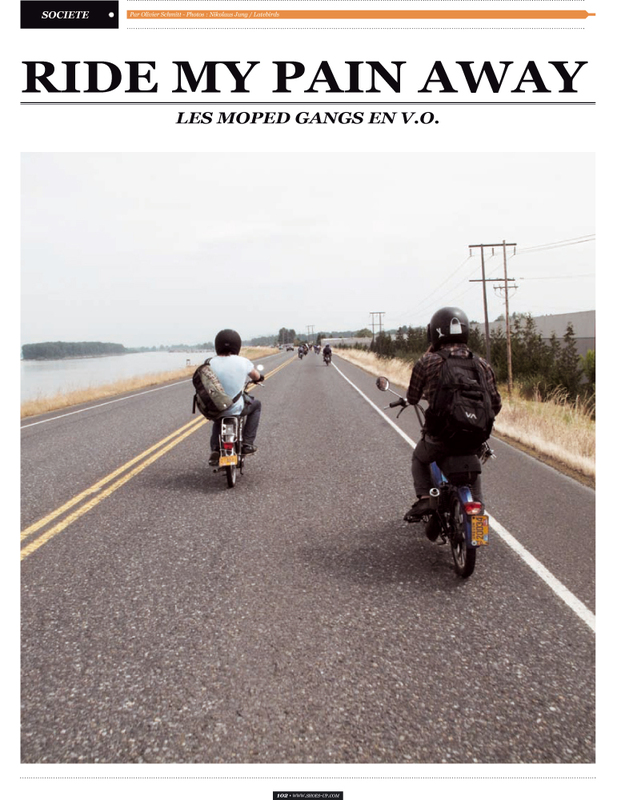 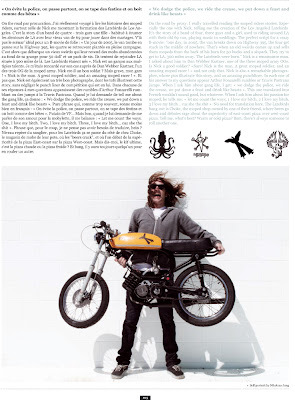 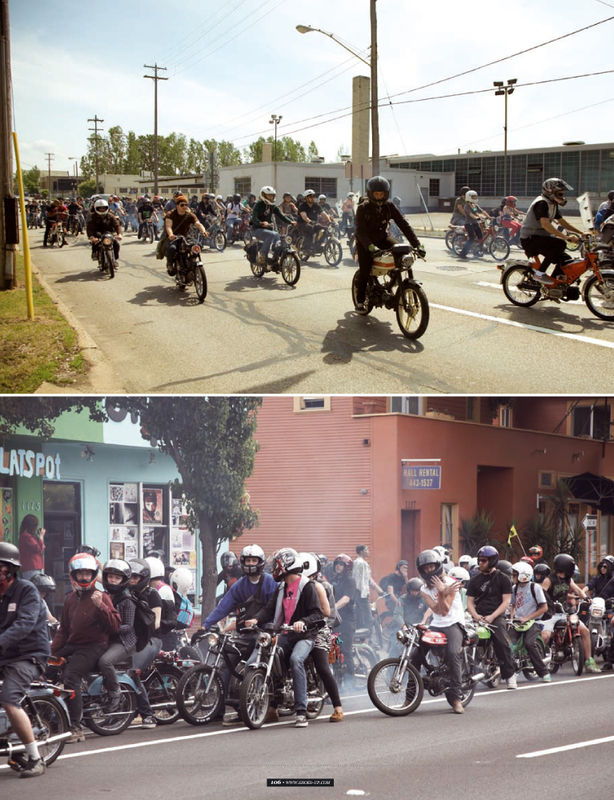 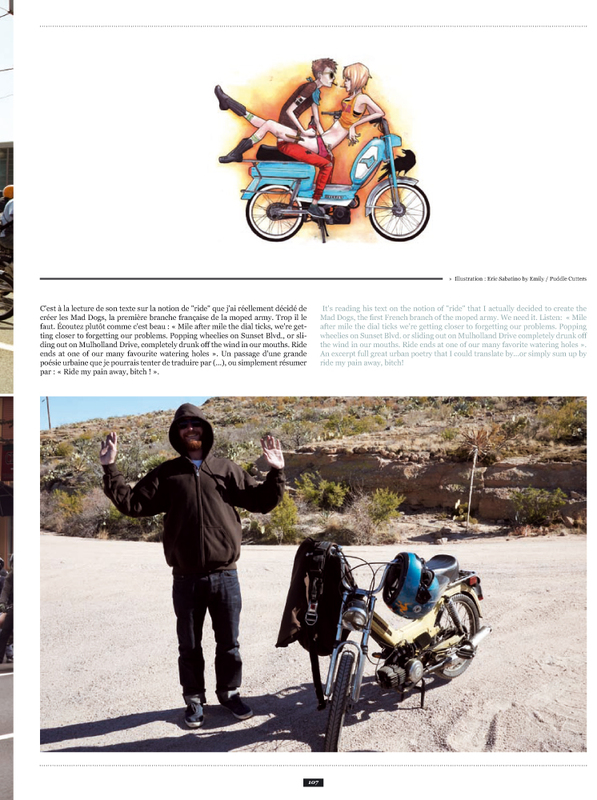 I was asked a few months ago to contribute to a French Magazine called Shoes-Up for a story they were writing about the American moped scene. 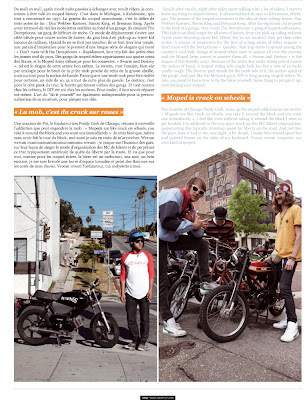 I'm really excited about it and they did a great job. It should hit newsstands in certain parts of the U.S. by early May.